How can Iperen IPE® improve NUE? How can Seaweed improve yield? How can WAKE-up® improve WUE? 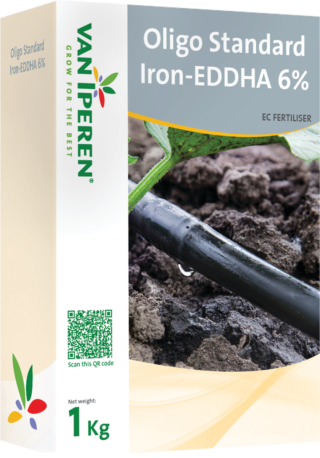 Van Iperen Oligo Standard Iron-EDDHA 6% is a highly pure Iron fertilizer of high purity with a high percentage of ortho-ortho,which dissolves rapidly and completely. 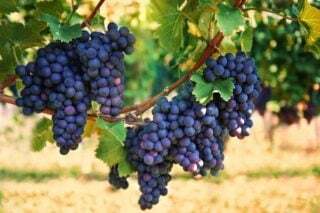 Our product is dust free and is recommended at different phenological stages. The high level of Iron in our formula improves the production of chlorophyll. Mentioned concentrations represents the amount of nutrients in the stock solution. The final concentration in the irrigation water depends on the amount of nutrients in the stock solution, the injection ratio and the amount of nutrients used in the water. It is possible to apply a lower dose than recommended in case of low risk of deficiency or to avoid an expected potential slight deficiency. The mentioned indicated dosages and application stages are given as a guideline. Exact dosages, concentration and application stage are subject to local conditions, use of other fertilizers and can only be given after an objective diagnosis. Please fill your credentials to receive the downloads by email. Join the Van Iperen community and stay up to date. Thanks for your interest in our products, please leave your credentials to receive our latest news. 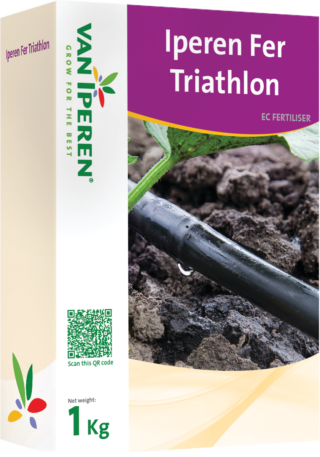 Compatible with other fertilizers. The pH of the tank solution should be above 4. How to choose an Iron chelate? There are many options to add Iron to your crop. The most efficient way is chelated Iron for its stability, availability for the plant and its easiness to use. But choosing among the different solutions can be a challenge. How to choose? We can help you! We want to share with you our knowledge on fertilizers and our know-how on logistics and registrations to help you grow for this crop, the next crop and all other crops after that.